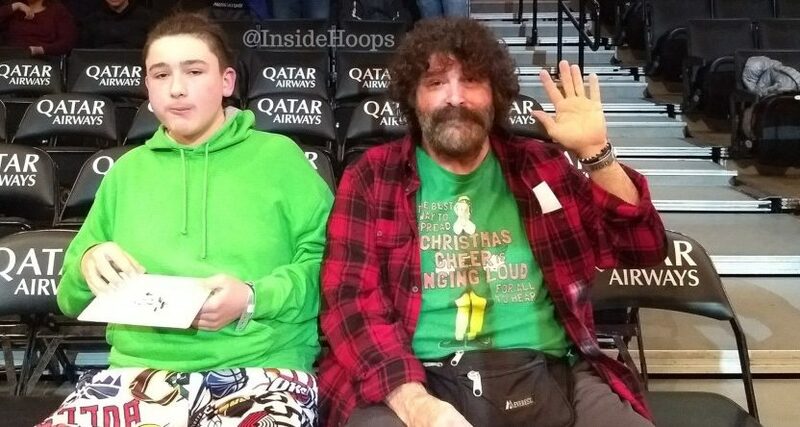 No, Mick Foley is not Robin Lopez's father. But both Foley and Lopez played along with it Tuesday. Mick Foley is a wrestling legend from decades with WWE, ECW, WCW and other promotions, but someone thought he was famous for a very different reason Tuesday. This came thanks to Foley attending the Brooklyn Nets’ home game against the Chicago Bulls at the Barclays Center. There, a fan thought he recognized Foley…as the father of Bulls’ center Robin Lopez? This @NBA story MADE MY DAY! This has been quite the week for Foley, as Sheffield United’s Billy Sharp decided to celebrate a goal with Foley’s famed “Mr. Socko” puppet and the “Mandible Claw” move Saturday. So there are plenty of people who still know who he is. Just not everyone at Nets’ games.